This new paint now makes it possible to be more like oil paint by increasing viscosity. Liven up your technique with “the stroke of a brush” and the power of expression! A new paint for experts and professionals that combines non-cracking with a calm gloss. Acrylic paint with soft gloss and colour tone. Representation of soft depiction using the technique of light colouring. 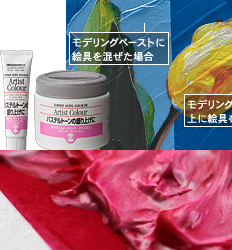 Evolutionary acrylic paint which expands the expression of oil painting. Because of the high portion of viscosity, the sense of each stroke is much more «massive» and does is not look like acrylic paint. 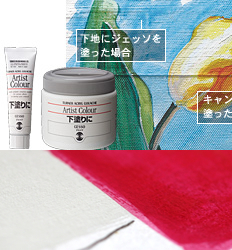 It is a true hybrid acrylic paint which can produce the look of oil paint. Your own imagination opens up a new world of abstract, which can not be expressed by oil or acrylic paint. In contrast to the intense luster and transparency of traditional acrylic paint, there is a soft gloss and moderate opacity. You can achieve a variety of effects and expressions by the touch of a brush. It is possible to create an artistic effect, such as Van Gogh and Matisse paintings. Moderate drying time means more time to be creative while preserving an elegant luster. 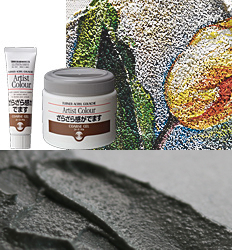 Acryl paint unique water-soluble, fast-drying (10-30 minutes with a thin coat), water-resistant after drying, excellent flexibility and light resistance coating. Careful selection of colour and composition will enhance the quality and originality of the work. 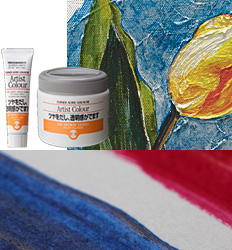 It has unbreakable strength even with thick coating which is different from other acrylic paints. 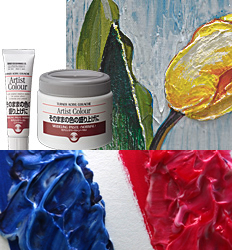 Compared to general acrylic paints it dries slowly and can be mixed on screen. 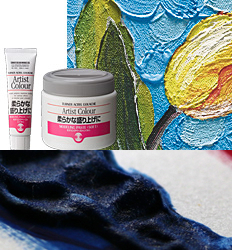 You can express freely, semi-transparent or gradation while keeping the colour of acrylic paint. Can be dissolved in water or a dedicated medium, easy to clean brush and palette. There is no stress because it is washable. You can also concentrate on the work without worrying about the smell of oil paint. 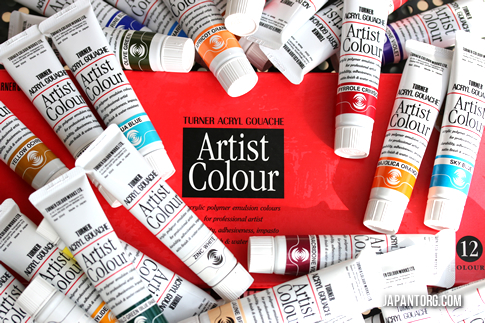 The Japanese prefer Turner Artist Colour for reproducing soft beautiful colour tones. Because of a moderate viscosity, rough finishing remains with the rough touch you like. Using the technique of light colouring (pastel) you can reach a soft depiction. You can spread the world of art on paper or other surfaces. The advantage of using a fabric with good adhesion is that you can draw directly on it. Muted colours and comfort of drawing will fit well with traditional techniques. Subdued luster and soft colour tones will complete your image. 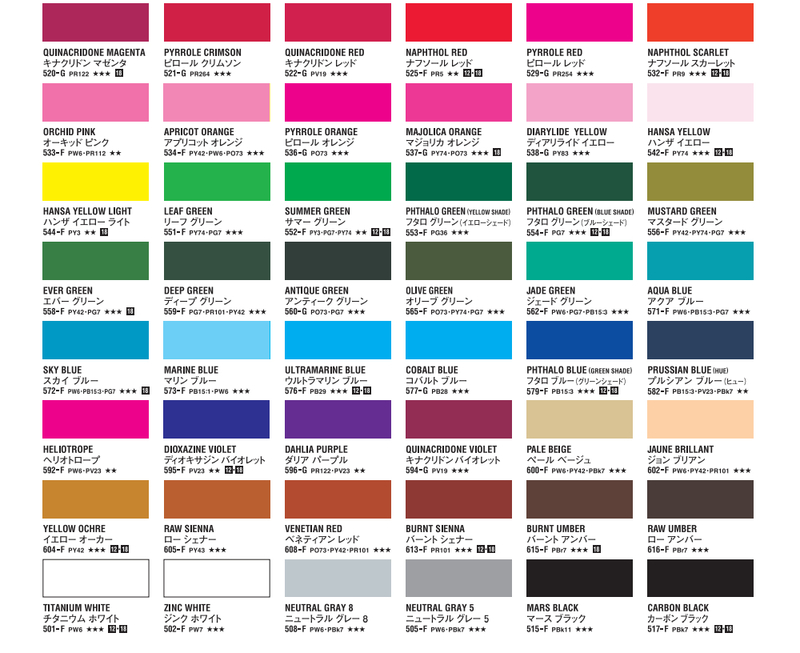 If the bottom colour is a bit sheer, it is possible to repaint the colour to create a unique one. You can make a motion picture, taking advantage of touch technique with Turner Artist Colour. Bringing a three-dimensional effect to the canvas with extreme use of paint, there are no issues with cracking because of the strength. 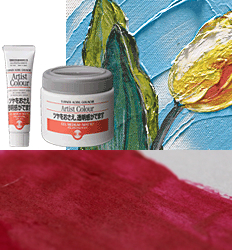 The transparent condition of moderate colour during repaint can help to make a deep expression. Because of appropriate viscosity you can express a deep standing with the edge of a knife or firm brush. It has a rough distinctive texture. When mixed with paint the variety of texture can change depending on the amount of gel. A white water based paste, it becomes a matte film after dried. Has excellent water and climate resistance.